We've been adding lots of new art to our Etsy shop, including some of the pieces you see above. Spring is all about rebirth, growth, and fresh outlooks. So I've been especially inspired to bring these themes into our typographic pieces. I hope these encouraging messages bring a little extra joy to your weekend! 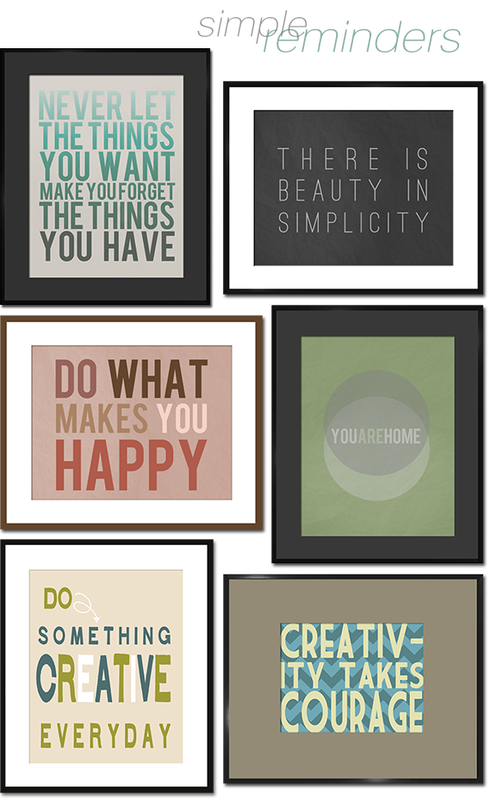 These are beautiful prints and much needed reminders! I especially love the first one. Thanks for the positive reminders! I especially like the first one to never forget what we have. I love these - such a gorgeous words and beautiful design. I especially love the first one, as it's how I am certainly feeling right now! I'm so fond of the first one: "Never let the things you want make you forget..." I feel like that quote sums up my year. hi there! i just found your blog and i am so glad i did! i love these pictures and writing, great post! am definitely a new follower, keep up the great work! would appreciate it if you could check out my blog! and the design is gorgeous!